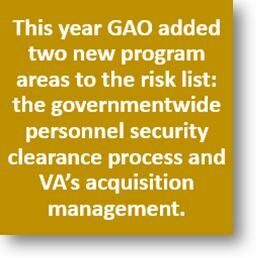 The Government Accountability Office (GAO) has released a report indicating that the Department of Defense (DoD) does not routinely monitor the size, mix, and location of its space acquisition workforce. 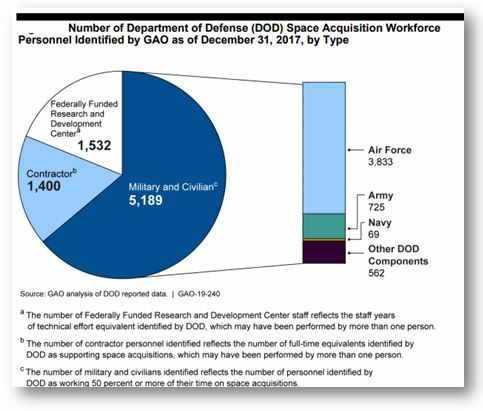 However, data GAO collected and aggregated from multiple DoD space acquisition organizations show that at least 8,000 personnel in multiple locations nationwide were working on space acquisition activities at the end of 2017. 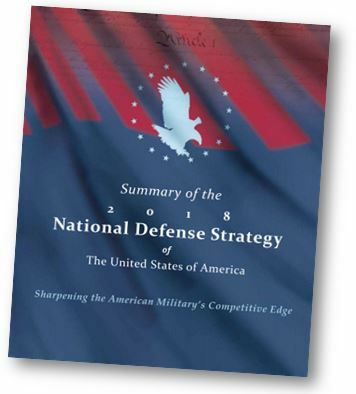 Military and civilian personnel comprise the majority of the overall workforce, while contractor and Federally Funded Research and Development Center personnel also provide support. DoD recently announced it plans to establish a new Space Development Agency and a United States Space Command. DoD reportedly plans to spend about $65 billion from fiscal year 2019 to 2023 on space acquisition programs — including satellites, launch vehicles, ground components, and user equipment. DoD’s space acquisition personnel perform a variety of activities, such as preparing and reviewing acquisition documents, to manage or oversee programs that develop or procure space capabilities. 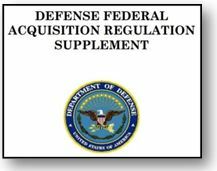 DoD does not maintain a complete list of its space acquisition programs. DoD’s workforce data systems are not configured to identify personnel working on space acquisition activities. DoD space acquisition personnel are dispersed across organizations and some personnel support both space and non-space programs. Without complete and accurate data, GAO believes that DoD will be unable to assess gaps in the overall capabilities of the space acquisition workforce. GAO recommends the identification of space programs and the collection of workforce data to better position DoD to ensure that the appropriate space acquisition personnel are assigned to the new Space Development Agency and the United States Space Command. GAO also believes that comprehensive data on the space acquisition workforce would be beneficial to support DoD’s efforts related to its recent legislative proposal regarding the establishment of the United States Space Force.